Vic Stickels, SRB Field Rests Pro-Staff, shares his story on how he uses the SRB Field Rests products and why they are so important in the field. I was born and raised in Iowa, a state known for brutal winters, abundant wildlife, large agricultural fields, and BIG BUCKS!! My father always took my brother and me to the outdoors camping, boating, fishing, or hunting as far back as I can remember. It wasn’t until 1968 that my love for archery and the outdoors was sparked when an older gentleman handed me an old bow and some arrows. It didn’t take long for me to get the hang of it. I have spent my entire life in the outdoors and have forty-nine years of hunting and fishing experience. In that time I have owned a hunting gear store, a taxidermy shop, and guided turkey hunters for thirty years. During many of those years, I wished I would have had the opportunity of having something like SRB Field Rests. Not only for myself but for those that I took out. I can think of many situations where the SRB Field Rests could have improved the hunting situation. Not only in turkey hunting but in coyote hunting as well. In 2008, I met Greywolf in Wyoming and she moved to Iowa to start our life together. 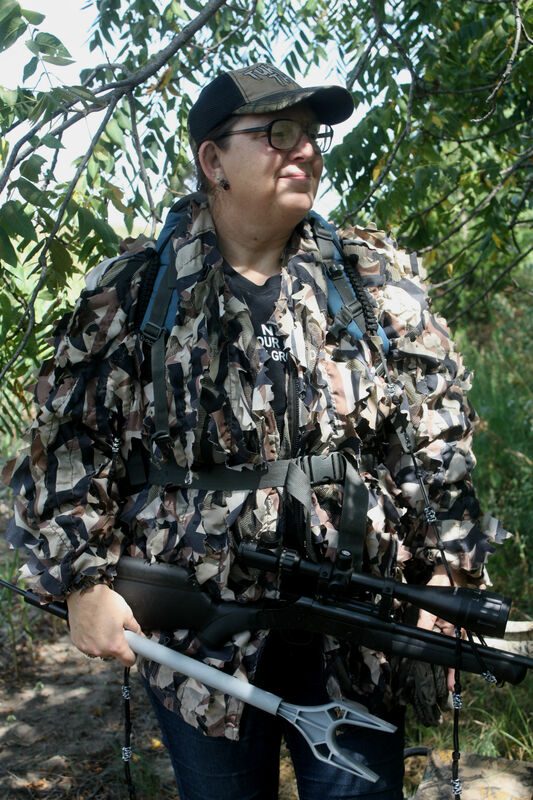 When she arrived in Iowa and found a passion for turkey hunting, she didn’t stop there. Greywolf shares in my passion for bow hunting and fishing. However, her health prevents her from shooting a traditional or compound bow, so she uses a crossbow. 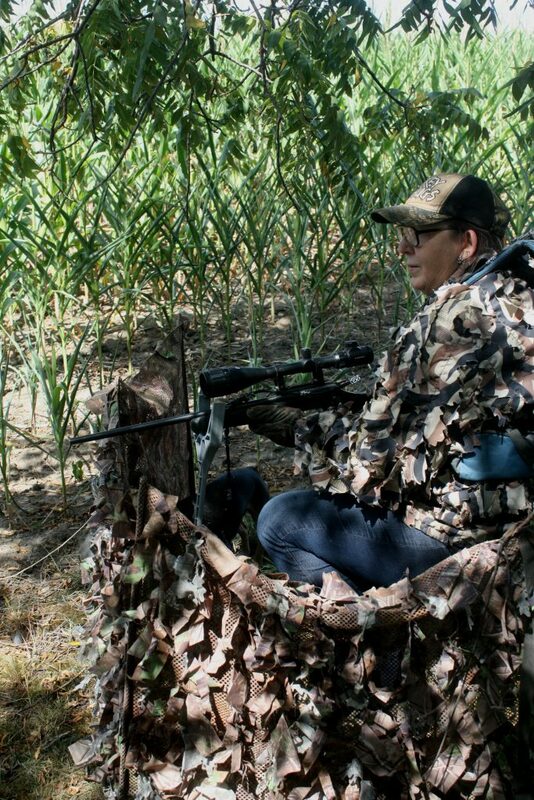 While in the blind, the Box Blind Cradle Rest helps hold the weight of her crossbow and in the correct position for her to steady her aim for an ethical kill shot. 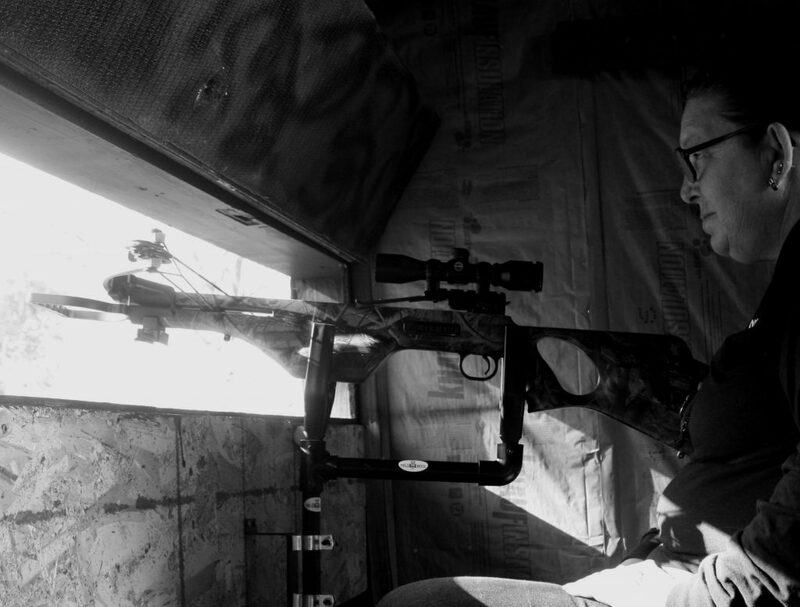 We both use the gun and crossbow shooting rest for coyote hunting to keep our guns at the ready and to help with a steady aim and truer shot. This product has become a staple on all of our hunting adventures. The redesigned cradle rest & mount will hold your gun or crossbow in the shooting position at all times ready for a quick stable shot at any game. The mounting bracket holds the cradle 2 3/4″ from the mounting surface to accommodate down sliding windows. Will also rotate inside of the blind to close the window for inclimate weather. Installs quickly and easily below any window with four self-tapping screws. While swiveling 360 degrees on a rubber grommet for quiet moving. The cradle adjusts from 6″ to 12″ above the top of the mounting bracket with the adjustment tube in the mounting bracket. 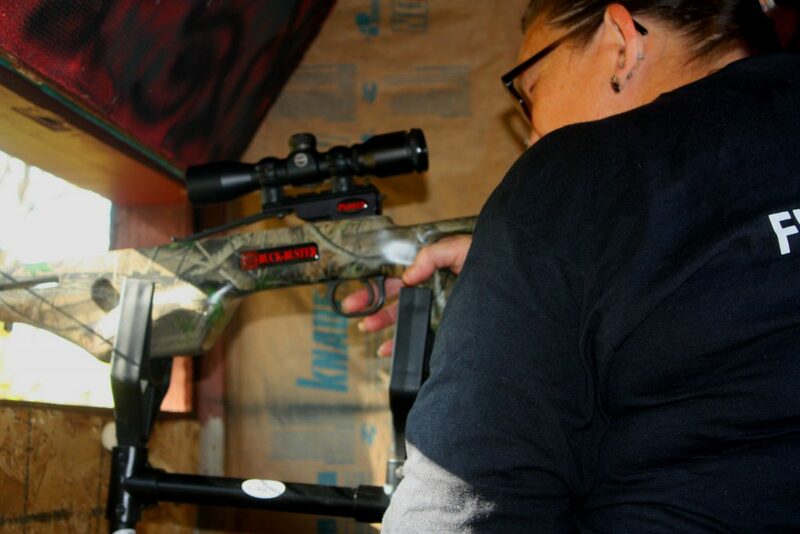 The rests are 11″ wide from rest to rest to hold your gun or crossbow in position. 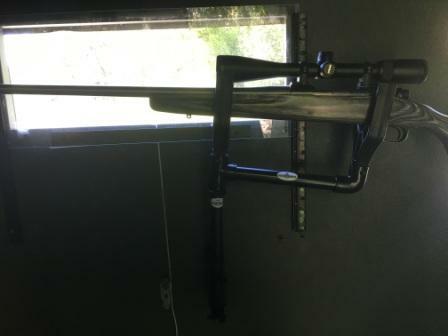 Additional Mounting Brackets available for the other windows of your blind to move the cradle to the other windows easily and quietly if needed.